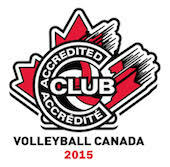 The Maverick Volleyball Club is looking for help updating its web site. Do you have a bit of time and the knowledge and skills to make adjustments and new additions? Depending on your level of skill, we may be able to negotiate reduced playing fees.